We are stockists and retailers of Britannia Advanced Coating System roof protection products. 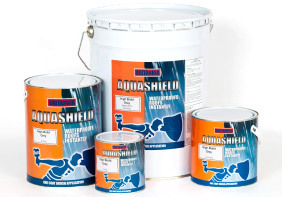 We stock and supply the entire range of Durashield and Aquashield roof protection systems. Please visit the Wythall Roofing Centre in Solihull, Birmingham or call our helpline for stock availability, prices and expert advice. We are Midlands based suppliers and stockists of Britannia Advanced Coating Systems. Wythall Roofing Centre stock and supply Durashield and Aquashield roofing products to roofing companies and builders across the West Midlands area. Durashield was developed specifically for refurbishment and overlay applications where greater life expectancy is needed. Applied cold so no hot works on roof – just one coat over primed surfaces protects the roof for up to 10 years. 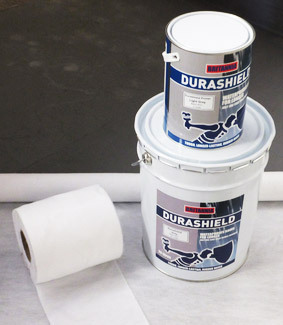 Durashield is flexible and highly elastic with excellent adhesion to almost any wall or roof surface. Key Feature: One coat over primed surfaces for a longer-lasting, seamless finish. Aquashield products are suitable for general maintenance work, containing added fibres that interlace to cover small gaps or cracks. Ready to use, just one coat gives instant protection – even rainfall immediately after application has no adverse effect. There is a full range of products available, with many in stock at our Birmingham based roofing yard. We can also order roofing products in to meet your requirements.